SCE celebrates the installation of 1,000 electric vehicle chargers in more than 60 locations throughout Southern California. Caroline Choi, SCE's senior vice president of Regulatory Affairs, helps celebrate the installation of 1,000 EV chargers in more than 60 locations throughout the Southland. Caroline Choi (second from right), SCE's senior vice president of Regulatory Affairs, helps celebrate the installation of 1,000 EV chargers in more than 60 locations throughout the Southland. 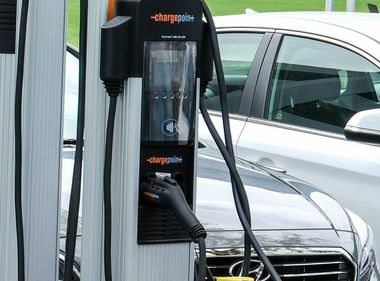 SCE announces the new rebate at a celebration of the utility’s 1,000th non-residential charging station. 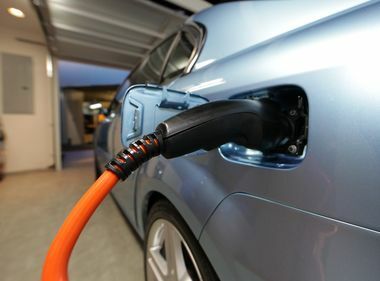 Southern California Edison celebrated today the installation of 1,000 electric vehicle chargers in more than 60 locations throughout the Southland, and also announced that it is starting a new pilot program to help customers install EV charging stations at home.